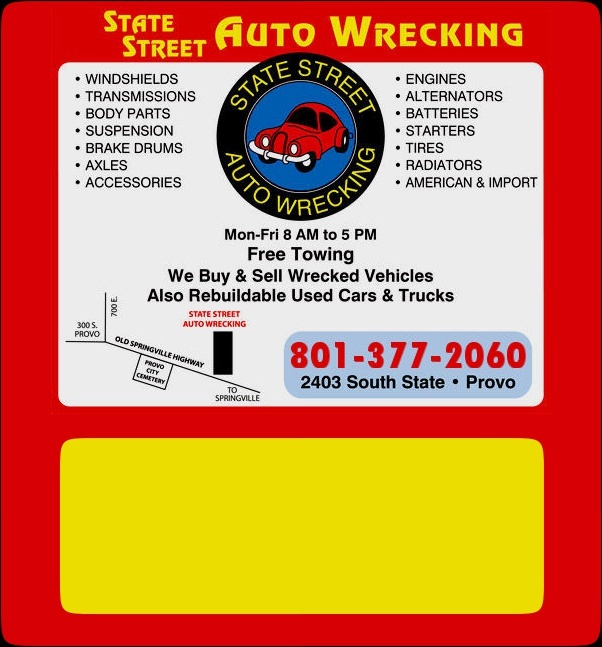 State Street Auto Wrecking offers the largest selection of used auto parts in Utah County including engines, transmissions, alternators, batteries, tires, axles, brake drums, and more. 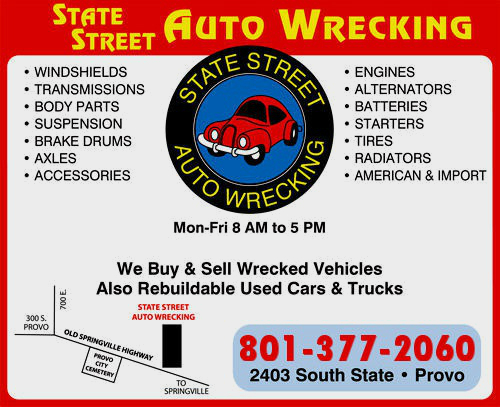 We will also buy your wrecked or junked vehicles with cash. Come in today and turn your junker into cash! Can't drive your wrecked car? Call us today and we'll tow your car free of charge (some restrictions apply).